Wonder Workshop has announced a new robot, CleverBot Cue, specifically designed with older children in mind. Cue is a programmable robot and is available in white or black. 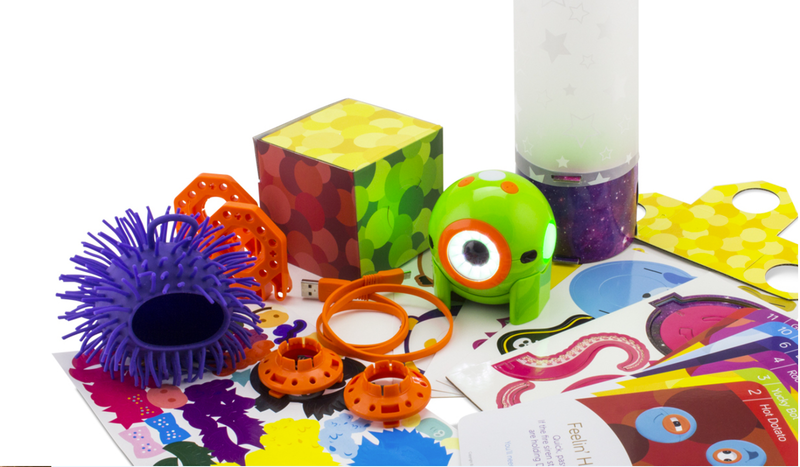 They have also announced a creativity kit for Dot, which includes a green version of the robot! 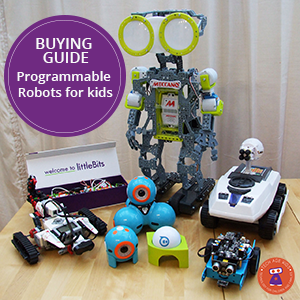 Dash and Dot, Wonder Workshop's first robots, are fantastic robots to help kids learn about robotics and coding. 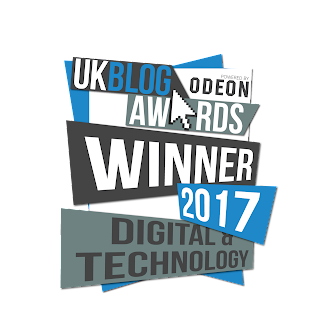 They have a ton of educational content, competitions and use a graphical coding language to teach children about robotics and learn to code. 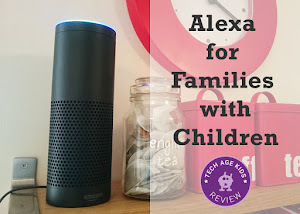 We've written lots about Dash and Dot here on Tech Age Kids and think they are a good choice for school and home. Wonder Workshop now has a really good family of robots starting with Dot aimed at young children (6+) and Dash with it's fun and curious personality and now Cue (for 11+) with a more grown-up experience. Unlike some other robots for older children, Cue comes already built. So the focus is more on what you can do and how you interact with the robot than learning how to build it. Cue comes packed with technology which lets you interact in real-time. It's Dash with a major upgrade! Cue connects to a mobile device via Bluetooth so you will need the new Cue app (available on Andriod, iOS and Amazon) and a device to operate the robot. A fun feature that will appeal to modern children is the chat mode. Cue uses AI technology to send and receive messages by answering questions, telling jokes and more. Learn more on the Wonder Workshop website. The Dot Creativity Kit is the same blue Dot robot, (but it's green) and still works with the Wonder, Blockly and Go Wonder Workshop apps. But the kit comes with a bunch of accessories to inspire creativity. 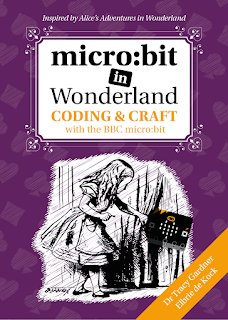 We strongly believe kids need to learn design and coding skills and this kit offers a great way for them to learn them. The kit also includes the LEGO adapters and loads of plastic and cardboard accessories to allow children to play and learn at the same time. Dot has an endearing personality and will appeal to a wide range of children, but is a good choice for younger children. Cue and Dot will ship from 28 September 2017. UPDATE: Read our hands-on review of the Dot Creativity Kit.